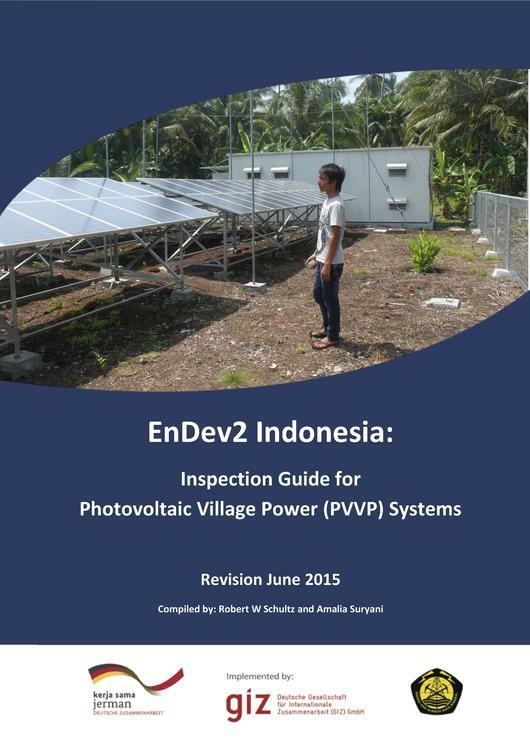 English: In three consecutive years (2013 to 2015) the GIZ, through EnDev Indonesia project, recruited international consultants, supported by national technical inspectors, to undertake the technical inspection and baseline survey of 112, 110, and 83 (respectively) PV micro-grid systems installed in Indonesia, on behalf of the Directorate General for New and Renewable Energy and Energy Conservation (DJEBTKE). The technical inspections are conducted at the specific written request of EBTKE and results are treated in the strictest confidentiality. Inspection findings were evaluated, summarised and submitted to DJEBTKE for further processing and follow-up. Specialist technical inspection teams, comprising one (1) experienced technician and one (1) assistant, were recruited for this initiative to conduct 2-day site visits, complete pre-pared checklists and questionnaires and train the beneficiary communities on system operation, maintenance and administration. Findings of these inspections were summarised and submitted to DJEBTKE for subsequent follow-up with contractors. In addition, baseline data (through the EnDev Key Performance Indicator/KPI survey methodology) was captured for a comprehensive database on EnDev-supported rural electrification projects. 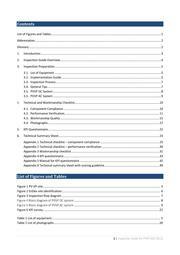 This Inspection Guide is the revised version from the previously published in 2013. It present the checklists, measurements form, and KPI questionnaire, as well as explanatory documentation compiled during this programme and adapted to capture essential lessons learnt. Purpose of this Inspection Guide is to record the process and make templates available for future inspections by any interested third parties. This page was last modified on 15 June 2016, at 11:27. This page has been accessed 5,192 times.